Welcome to the Teesdale and Weardale Search and Mountain Rescue Team website. Teesdale and Weardale Search and Mountain Rescue Team operates 24 hours per day every day of the year. 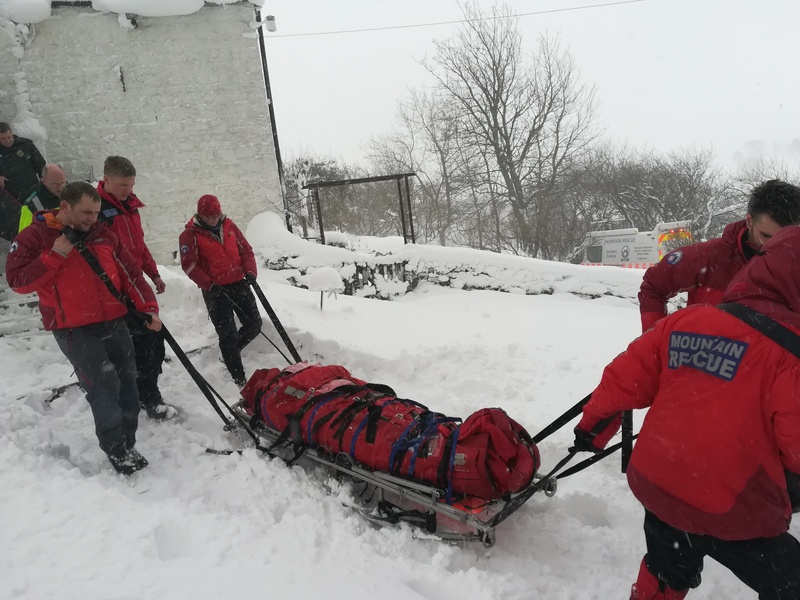 We provide a search and rescue service for the whole of County Durham, from the high fells in the West to the coastal communities of the North Sea. The team responds to requests by the police to a range of incidents, from injured or lost people in the hills to vulnerable missing people in urban settings. The team's skills and resources continue to grow to keep pace with our developing role. The rescue team consists of about 50 volunteers, all on call 24 hours a day, 365 days a year. All our volunteers have full time jobs and meet almost all their own expenses. The team will typically respond to between 40 and 50 requests for help every year. The North Pennine The North Pennine hills provide a diverse backdrop to our mountain rescue operations and training. The river Tees and the river Wear carve out valleys, rich in geology, ravines, gorges and waterfalls. To the West, the land rises through 'England's last wilderness' to high plateaus, approaching 3000 feet above sea level. Large areas of high fell lie many miles from road access and are prone to some of the most extreme weather in the country. Several public roads climb to over 2000 feet above sea level and the area hosts the only permanent ski tows outside Scotland. 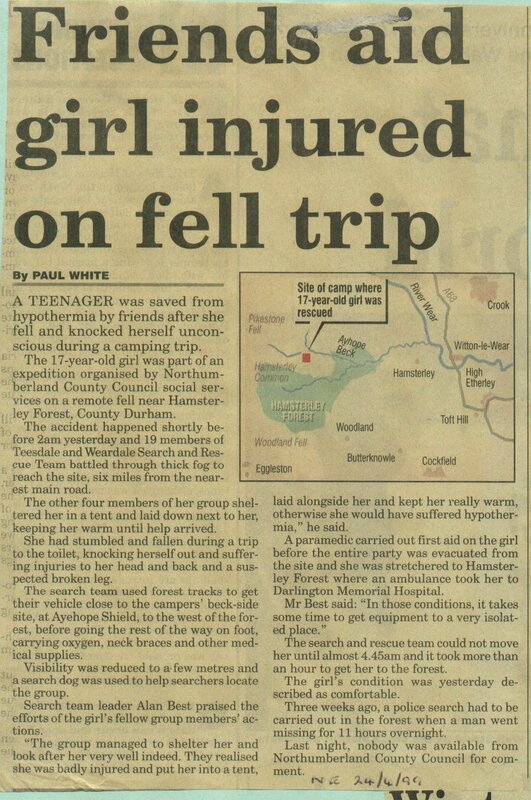 "Friends aid girl injured on fell trip". callout, rescue, Ayehope Shield, Hamsterley Common, successful.